Tesla has been making strides to be at the forefront of autonomous driving and possibility is there that its work could collide with OpenAI. OpenAI was co-founded by Elon Musk back in December 2015 as a non-profit group whose purpose was to research and develop AI that would benefit humanity. Musk largely believes that AI as a whole could actually be the end of humanity and has also had a spat with Facebook CEO Mark Zuckerberg on the subject. But now in a surprising turn of events, Musk has left the OpenAI board of directors so as to avoid conflict of interest with the machine learning work being done at Tesla. Tesla Motors' founder Elon Musk. Reuters. “As Tesla continues to become more focused on AI, this will eliminate a potential future conflict for Elon,” read the small post on OpenAI's blog. Elon Musk's Tesla has been making strides to be at the forefront of autonomous driving and there could be a possibility that the work being done at OpenAI and Tesla could collide, as per a report by The Verge. Elon Musk has his hands in quite a few companies such as SpaceX, Boring Company, SolarCity and Hyperloop. It is just a miracle that the man is juggling so many jobs all at once and it would seem only natural that he would eventually drop at least one of his many ventures. Elon Musk has chosen to continue being a donor and in an advisory capacity for the board of OpenAI. 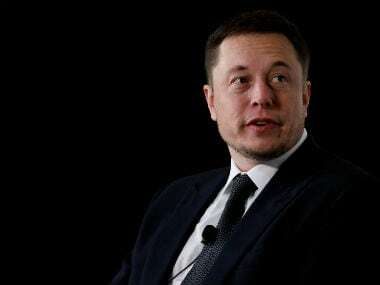 With him stepping down from OpenAI Musk would likely have more time to focus on creating better reusable rockets, fully-autonomous electric vehicles and dig underground tunnels for a super-fast tube transportation network.